Every week we pick a favorite chef who has inspired us with a delicious creation. Byron Talbot, ‘a chef, food lover, husband and father’ as he describes himself, has swept us off our feet this week with his luxurious creation of the chocolate ball. As of now it is the most viewed video on his Youtube channel and it is easy to understand why, once you had a chance to look at it. The way the hot caramel melts the top of the ball and breaks it down to reveal the delicious ice cream inside is simply everything. 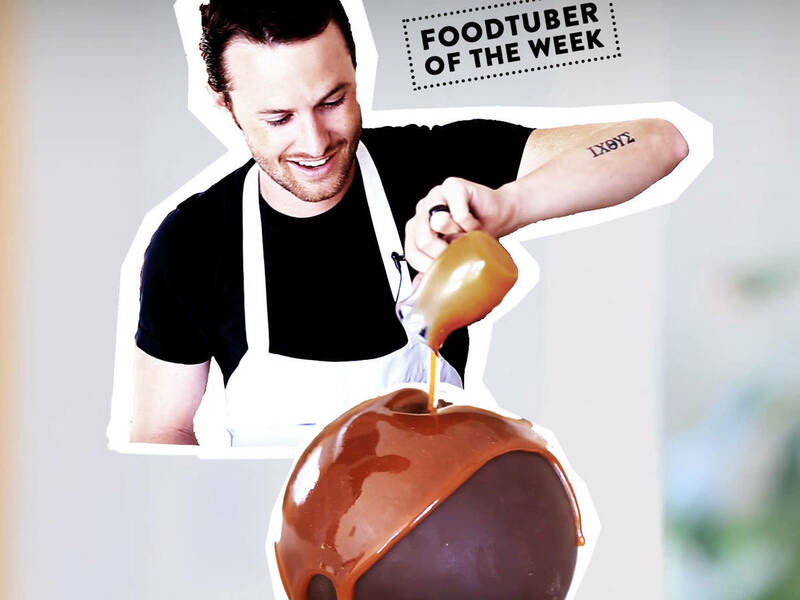 Byron’s finesse in creating the chocolate sphere in that effortless manner really makes you want to enter your own kitchen immediately and recreate this delicious eye-catcher for your next dinner party. Byron’s videos are all greatly thought out and show well rounded recipes. His techniques are impeccable and the way he explains them is simple and clear. Byron has inspired us to create some amazing sweet treats this week. We hope you will enjoy his videos as much as we do! If you are interested in even more food inspiration from all over the world – stay with us! We will reveal another great Foodtuber next week Tuesday!